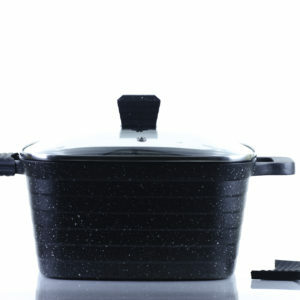 KEEP NUTRITIONS, FLAVOR AND MOISTURE SEALED! 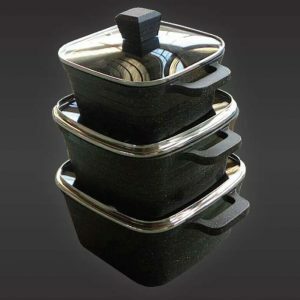 Perfectly cook/grill steak, chicken or fish without a mess! 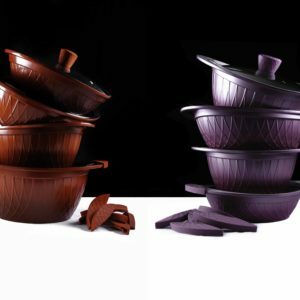 Simply a better cooking experience. 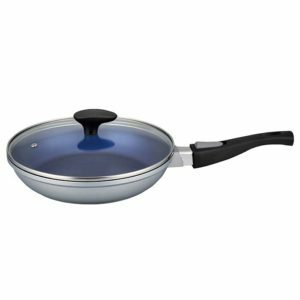 Strong magnetic handle & FDA approved silicone gasket will seal the pan to keep nutrition, flavor, and moisture inside plus it significantly reduces smoke, smell and oil splatter With Built-in “smart oil catch tray”. 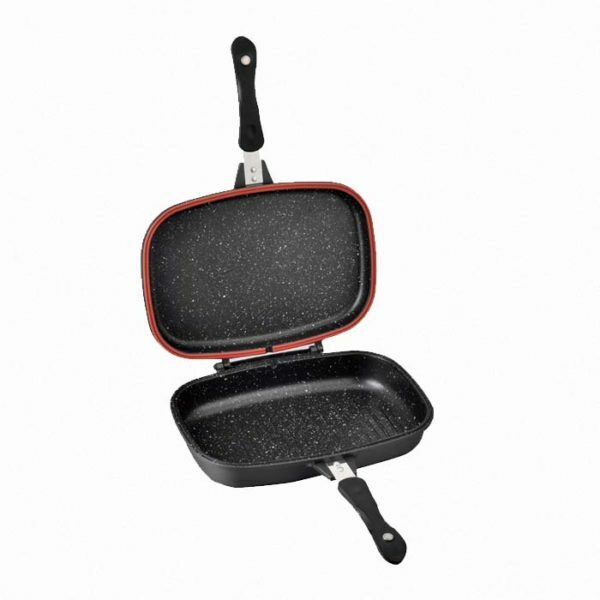 Simply Flip and cook with comfort! 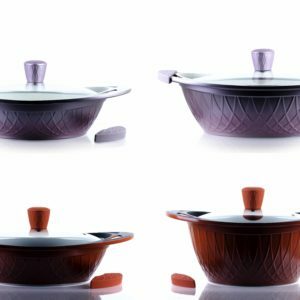 Rapid cooking &even heat transfer and ability to be used on Gas, Electric, glass ceramic and induction cooktop. 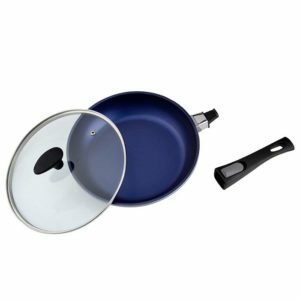 Top and bottom pans can be easily separated. One side can be used separately as an indoor grill with perfect grill marks and the other side to cook another meal at the same time.